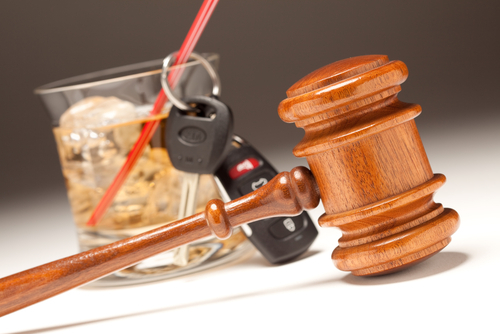 > Blogs > DUI > DUI Penalties > What States Share DUI Records with Each Other? What States Share DUI Records with Each Other? Most states report DUI information to each other as part of the Interstate Driver’s License Compact (IDLC), which is an agreement that has been adopted by 45 member states and the District of Columbia. According to the terms of the IDLC, which operates under the theme One Driver, One License, One Record, member states agree to share information regarding license suspensions, DUI arrests and other traffic violations incurred by non-residents with those people’s home state. If the home state is also a member of the IDLC, the home state would then, as part of the IDLC, treat the offender as though (s)he had committed the offense in the home state, imposing the associated penalties for the offense. Non-member states – Currently, the five states that are not members of the IDLC include Georgia, Massachusetts, Michigan, Tennessee and Wisconsin. When the laws between states do not match up – While the states that have adopted the IDLC have agreed to impose penalties for traffic violations (moving violations) their residents incur in other member states, there is an exception to this agreement. In the event that a home state does not have a similar law as the state where its resident committed some offense, the home state has the discretion to impose its own laws and penalties as it sees fit. Colorado DUIs for non-residents – When out-of-staters get DUIs in Colorado, their DUI offense will be reported to their home state. These individuals will typically have to return to Colorado for all future court appearances related to their DUI case, which will still be adjudicated in a Colorado court, unless they retain a local attorney to represent them and appear on their behalf. When Colorado residents get DUIs in other states – For Coloradans who incur drunk driving offenses in other states, these offenses will typically be counted as priors in Colorado for the purposes of determining when felony charges should be imposed. So, for instance, if you have three prior DUIs in three other states and you are arrested for a fourth DUI in Colorado, you can be charged with felony drunk driving, which can be punishable by up to 6 years in prison. If you are from another state and have been charged with a Colorado DUI – or if you are a Colorado resident facing DUI charges anywhere in the U.S., you can turn to the Denver & Boulder DUI lawyer at Griffin Law Firm for aggressive legal advocacy and the best possible defense. For nearly two decades, our attorney has been helping those accused of crimes defend their rights, interests, freedom and future. Let our attorney put his experience and insight to work helping you bring your DUI case to the best possible resolution.